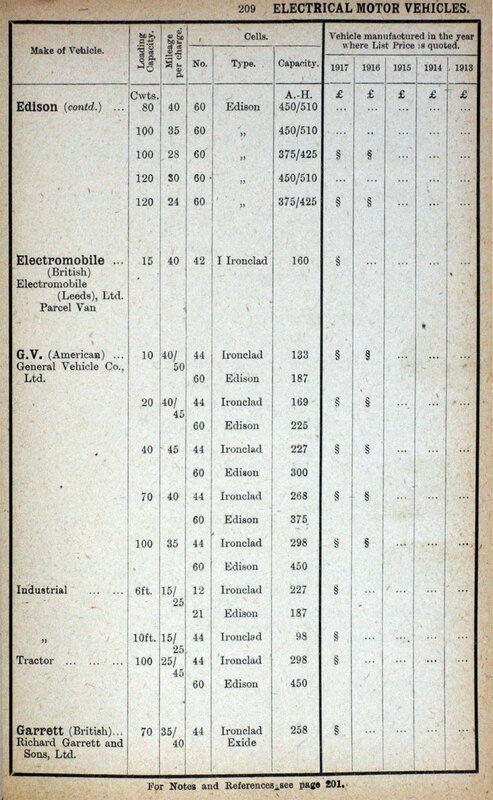 This is a list of the companies supplying electric vehicles to the UK market in the years 1913 to 1917.
p208. Buda, C. T., Carters, Edison. 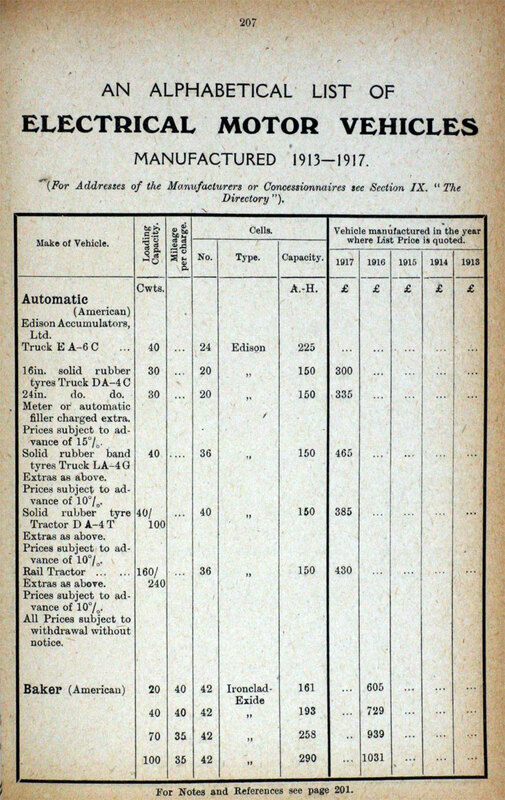 p209. Edison (cont. 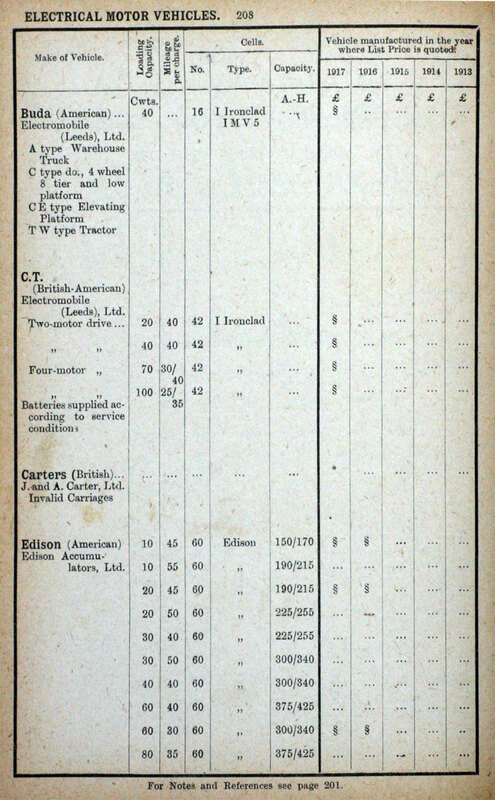 ), Electromobile, G. V. (American), Garrett. p210. 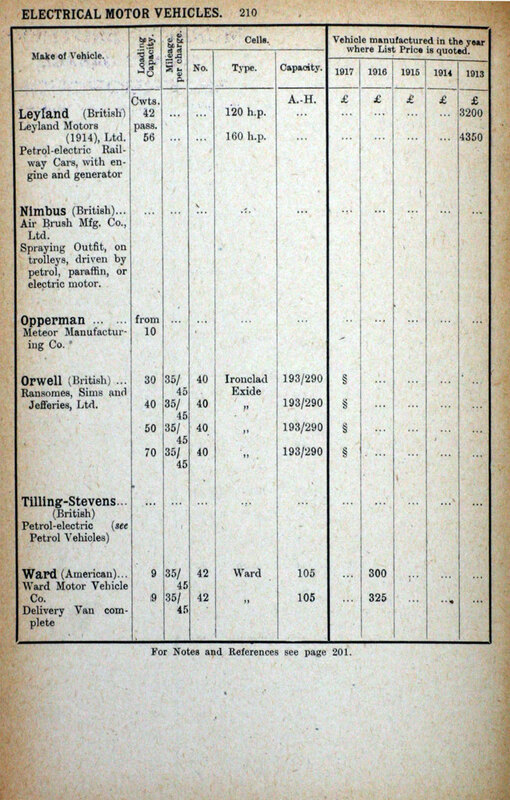 Leyland, Nimbus, Opperman, Orwell, Tilling-Stevens, Ward (American). This page was last edited on 15 January 2015, at 10:22.